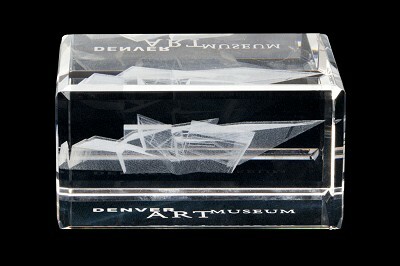 A rectangular crystal paperweight with a laser cut image of the Denver Art Museum Hamilton Building and the museum's logo. It sits in its own blue satin lined box. 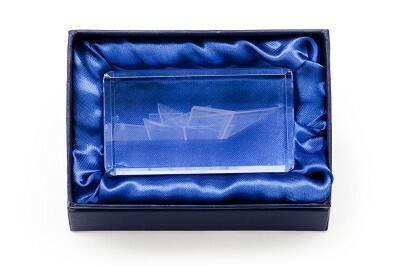 A great corporate gift. 5" x 3.25" x 2.5"